This country house, in a castle style, belongued to the Marquis de Fayet. 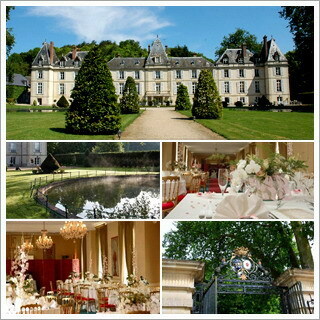 Chateau d'Aveny is situated near the bridge over the Epte and Giverny and La Roche Guyon. Greenway along the Epte river and through Vexin's hills. Renting for events and exclusive rentals. 6 ha park. reception room : Minimum 100 guests. Kitchen on site. Dancing until 4am with DJ and equipment on site. Only renting formula : 110 € per person all inclusive (excluding champagne). For exclusive rentals, please send us a request.